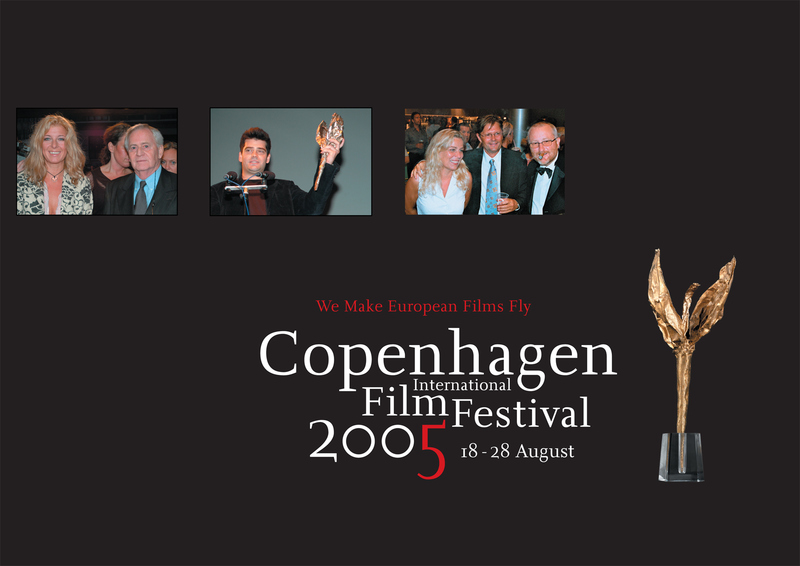 When the world of movies came to Denmark. 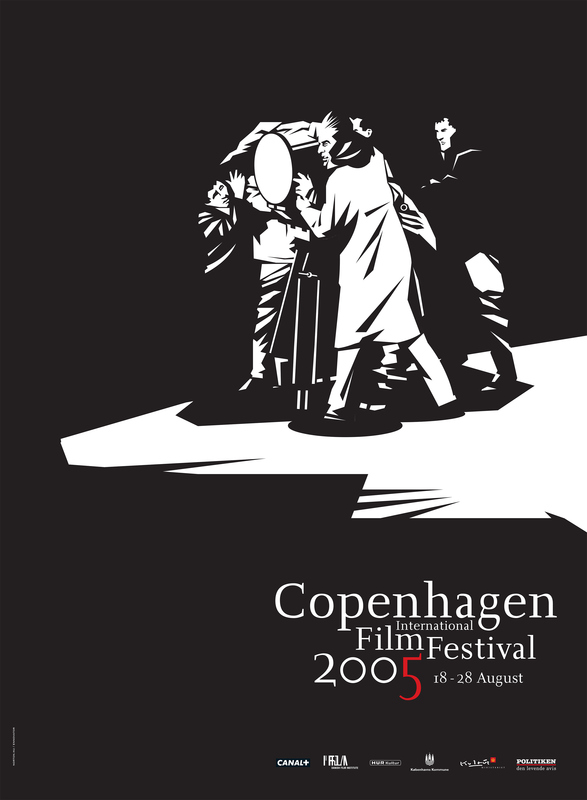 Copenhagen International Film Festival took over the cinemas for a few days, presenting a vast amount of movies to the public. 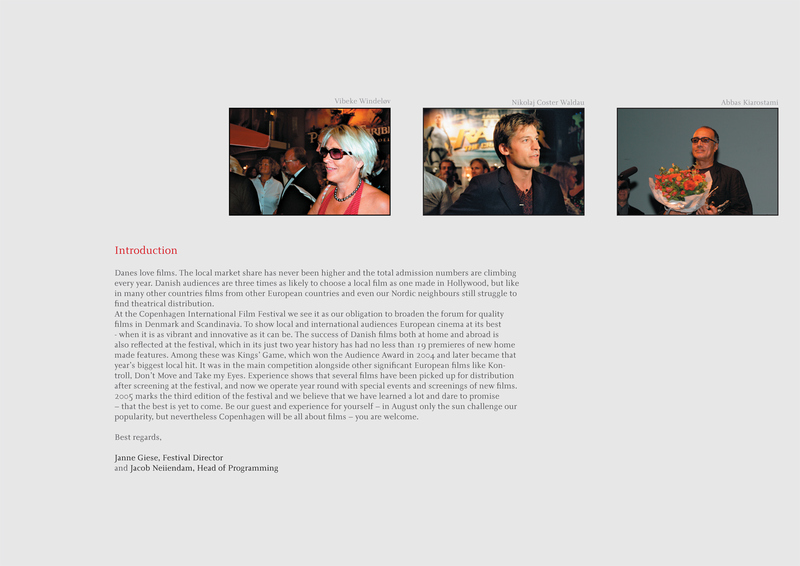 All through the material, a distinctive visual look and feel was established. In the middle of the design was a dramatic rendition of an equally dramatic, and even authentic scenery of movie makers. The elements included everything from merchandise to advertising to official programs. For a few days, the movies and the look was all around Copenhagen. A few days before the opening night, a 5 meter high banner promoting the event and Monty Python's classic "Life of Brian" was placed on a tower facing the place in front of the city hall. 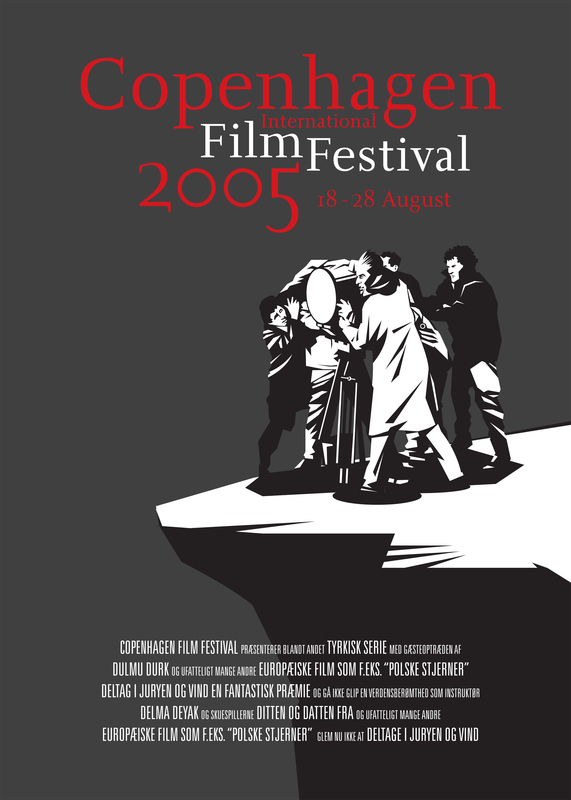 A place that would later be fitted with beach chairs as "life of Brian" opened the festival as an open-air showstarter.